The Jaguars lived up to their name to out-muscle Ligers and steal-away with a deserved 3-2 victory. The Woodley Wanderers squad have had mixed results since jumping two divisions to play in League 4 this term and these 70 minutes clearly indicated that, on their day, Jaguars are more than a match for anyone Ligers have come up against this season. 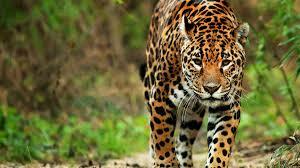 Jaguars are a remarkably strong and quick team. From the first whistle they demonstrated very good football skills, their passing and movement soon putting Ligers on the back foot. The first 15 minutes saw Jaguars bombarding the home team's goal, with Rhys Brombley, Toby Orji and Mark Akintolu causing havoc with their pace and dribbling and ball retention. Zak Endemano and Daniel Kubinskyy did well to keep Jaguars' opportunities to a minimum, but Matthew Barrett still had an exceptionally busy time and pulled off several top class saves. As the game moved into the second quarter, Frazer Pickrell recorded Ligers' first shot. The ball rebounded away for a corner but within seconds Jaguars had turned defence into attack and Joe Wallis and Toby Chilvers were scrambling to quell the charge. The writing was on the wall as Ligers totally lost control of midfield. Coach Wallis has berated the midfield on numerous occasions this season for their slow response when losing possession and, with Gabe playing a more advanced role in the absence of George Lee, today it looked like Hearts were playing five in defence and five up front with a 40 yard gap between the two. Zak and Daniel ran themselves to a standstill in defence and were rotated with Sam Bates and Thomas Fondie after 26 minutes, but still Jaguars kept coming. Ligers managed to entrench themselves in Jaguars end for the last four minutes of the half but Freddie Ash in the Woodley goal was equal to anything that managed to squeeze through. The second half saw Frazer Pickrell replaced by John Humphrey but straightaway it was Mark Akintolu who brought a fine save out of Matthew Barrett. From Matt's clearance, Ilyas Akhtar found Gabe Sinclair who used his pace and strength to take the ball some 40 yards and calmly place it beyond the keeper to put Ligers in front. Ligers appeared to be gaining more control with John Humphrey doing the midfield defensive work that had been lacking in the first half, and giving a lead to Kevin Kota and Hayden. So it was more than a little disappointing when a fairly speculative shot from Toby Orji saw Matt rooted to his six yard box and more or less following the ball into the back of his net. 1-1. Coach Simon Wallis was quick to react, bringing Daniel back on in place of Ilyas, and pushing Dylan Tomlinson up front. Dylan and Gabe in tandem had already shown themselves to be a real handful for the Jaguars defence but they were unable to break through the final line. Nevertheless Daniel, now playing in a midfield position did manage to thread the ball through for Hayden Pillay to put Ligers back in front. Sadly, Jaguars went straight back up the other end and another fairly speculative ball into Ligers six-yard box saw Matt slip and collide with Toby and the ball roll into the unguarded net. 2-2. The game now swung back Jaguars way. Sam and Tommy battled valiantly to contain the Jaguars' wide-men, but the visitors had too much guile and pace. James Rosso was finding acres of room in the middle and although Hayden and John were battling hard, they were being bullied by the more physical opponents. Tiredness was beginning to take its toll on Toby and Kevin, particularly as Joe pushed further forward in search of a winner. Almost inevitably, it was Mark Akintolu who turned in the winner for Jaguars, a raid down the right seeing a lovely low cross come in from Rhys Brombley which found the big No17 running unchallenged into the box to finish confidently beyond the already beaten keeper. It was a tough morning for Hearts. The outcome was fair although two lapses in concentration probably enabled the concession of the first two goals. Matt's first-half performance deserved a clean sheet and earned glowing plaudits from the opposition coaches. Hayden and John showed added steel in their defensive work, Dylan and Gabe were a massive threat down the inside left channel and Tommy is fast becoming the most improved player in his position of left full back. But it is the Ligers lack of spatial awareness and communication that lets them down, together with that inclination to sometimes stand and watch once possession is lost. Results elsewhere have plunged Ligers back down to 9th place, whilst Woodley Saints look like the League is theirs to lose. Meanwhile, cup final opponents Twyford Comets continued their winning ways in Division 3. Next week sees Marlow United return to Lincoln Field and they will be hoping to extend their 4 point advantage over Ligers.